Ordered to pay hundreds of thousands of dollars in legal settlements to former clients of his personal injury law firm, state Rep. Ron Reynolds, D-Missouri City has filed for Chapter 7 bankruptcy. Court records show the embattled Missouri City Democrat owes creditors more than $1.3 million, including $700,000 to former clients who were awarded money after suing Reynolds for keeping their portion of legal settlements. In May, for instance, a Harris County judge awarded Nancy Calloway $504,000 in damages after she sued Reynolds for malpractice, claiming he improperly kept some of the settlement money owed to her in a case involving her daughter’s traffic death. Reynolds’ bankruptcy filing details that Reynolds is indebted to Calloway for $450,000. He’s on the hook for another $450,000 to medical providers and imaging centers, more than $3,000 in unpaid tolls and $15,000 owed to the Texas Ethics Commission. Reynolds is behind in filing his campaign finance reports to the ethics commission. Records show he hasn’t filed since before the March 1 primary election. Reynolds did not immediately return a request for comment. His bankruptcy, first reported by KTRK TV in Houston, shows the Chapter 7 – Liquidation filing dates back to early August. According to the Bankruptcy Code, Chapter 7 is for people who have trouble paying debts and want their “debts discharged.” Some debts, including “most fines, penalties, forfeitures, and criminal restitution obligations,” will not be absolved. Despite a November 2015 conviction on five counts of illegal solicitation of legal clients and years of fighting similar cases in court, Reynolds garnered the most votes in a four-way Democratic primary on March 1 and beat Angelique Bartholomew in the May runoff, 53 percent to 47 percent. 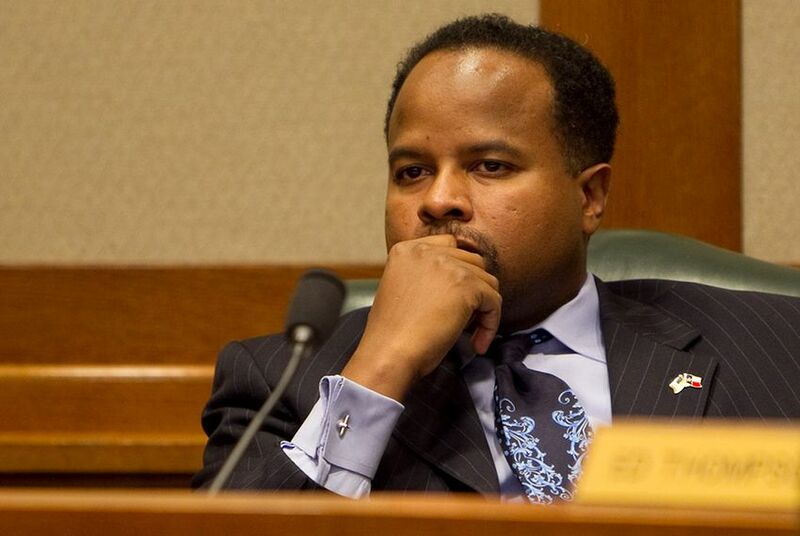 He faces Republican Ken Bryant, a former Fort Bend ISD trustee, in the November general election. Ron Reynolds, D-Missouri City, already facing the possible suspension of his law license over charges he illegally solicited clients, was ordered Friday to pay $504,000 to a former client for keeping her share of a settlement. It’s odd that one officeholder could be convicted, exonerated, re-indicted, convicted and sentenced without completely endangering his political career while another could get knocked out of contention while blaming an indictment.